It has been boring weather all day long! No sunny Fall day at all which I had hoped for in order to do some geocaching here in Linköping. 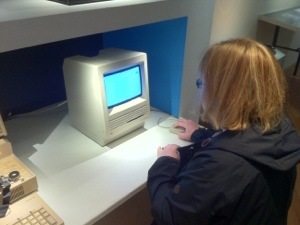 Instead we went to a museum showing (among other things) the history of computers. They also had a few you could try out. I would LOVE to have seen that museum with the history of computers. 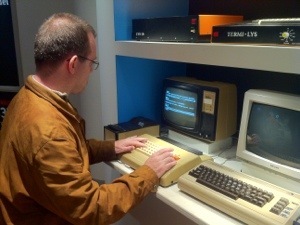 I regret the day my mother got rid of our old beloved Commodore 64 complete with all it’s games etc. And yep, I would be happy to have my techie toys all hooked up, too. I love my wifi – it meant I didn’t have to wait another five days (and countless hours screaming down the phone to Telstra) for my internet to be connected again! YAY!